Its simple design and good appearance can show off your charming style. Make the change and add more charm to your key ring and your handbag. A perfect gift for yourself or someone special, your lover, family or friends. Size:About 7.9 inch,Material:PU Leather & Alloy. Lobster Clasp Leather Tassels design,add sparkle to your everyday style and get compliments from everyone who sees it. 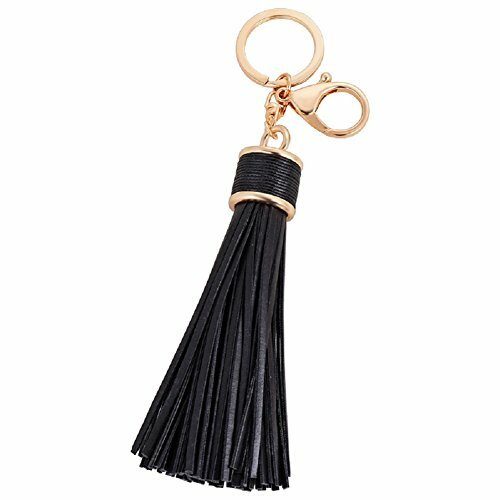 Our trendy tassel keychain is simply classic and will go well with anything keeping you in the trend. Use it to decorate your keys,handbag,mobile phone,car interior or any other item. Perfect present for Birthday,Valentine's Day,Mother's Day,Thanksgiving,Christmas,Graduation and any Occasion. If you have any questions about this product by CHMING, contact us by completing and submitting the form below. If you are looking for a specif part number, please include it with your message.